Quick. When I say "macaron", what would you say? Macaroon? No, that's a chocolate coconut treat. I'm talking about the macaron, which is a meringue-based dessert which resembles a burger. 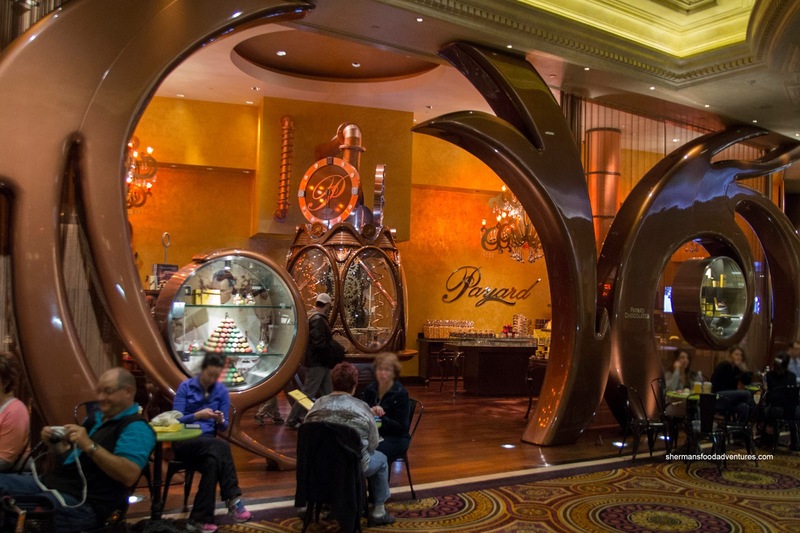 Being in Las Vegas, Vandelay suggested we tried the ones offered by world-renowned pastry chef François Payard. So we planned to hit up the spot early in the morning before our flight out of McCarran International (kinda subliminal with McCarran and macaron...). And I can honestly say we were dedicated as we didn't get much sleep the night before to go on our food adventure. Since we needed to grab breakfast anyways, we got some items to go with our macarons. Vandelay had the Croque Monsieur which is a classic French sandwich consisting of ham, Swiss cheese (in this case) and béchamel. This wasn't bad for a reheated premade concoction. The bread was toasty while the cheese was melted. 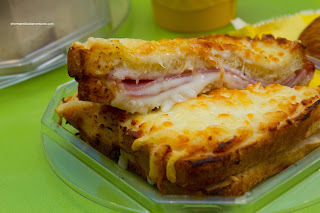 The broiled béchamel on top was creamy and rich. For myself, I went for 2 items because a Croissant would just not be enough for breakfast. And about that croissant, it was fantastic. I found it to be the perfect size where it wasn't too big nor small while the pastry was on point. The flaky, crispy exterior gave way to an airy and light interior. There was a nutty butteriness which was just right. 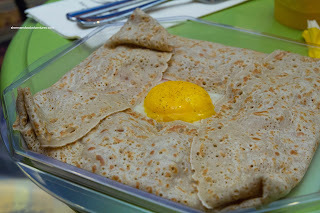 For my second item, I had the Crepe Madam which was absolutely huge. Hidden within the lightly-textured crepe was ham, cheese and a perfectly prepared sunny-side egg. I could barely finish this as it was heavy, especially since it was only 8:00am in the morning. 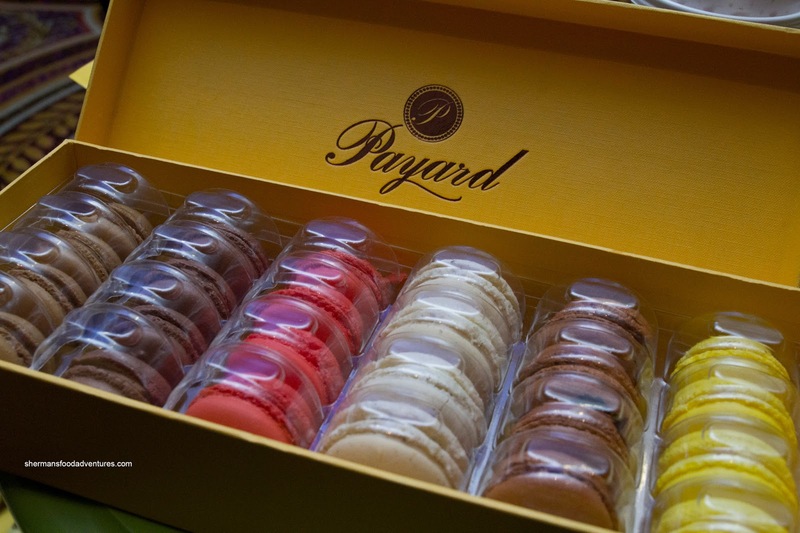 Now onto what we were really here for - Macarons! OMG. 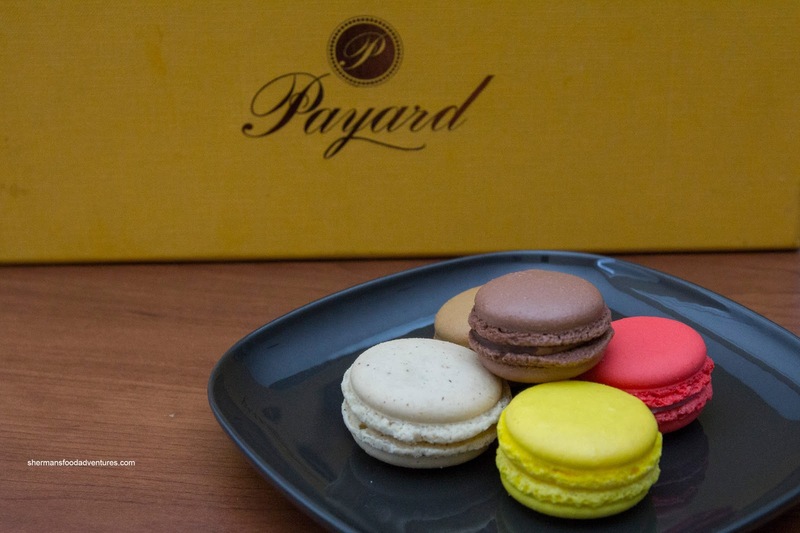 If we looked in the dictionary under disappointment, there would be a picture an irregularly-shaped macaron from Payard. These things were sorely lacking in quality control as they varied wildly in size and appearance. Worst of all, the texture was downright insulting (to all macarons out there). They were hard and crumbly (in a bad way) and devoid of the textures we normally associate with macarons. Even the flavours were weak. These probably were day-old stock as well since they had a stale quality to them. Of course we took into account that the dry air in Las Vegas might have something to do with it. Yet, I would be shocked if they didn't make allocations for it. Honestly, the worst macarons I've had to date. It's really too bad since the rest of the stuff we tried was pretty good. Maybe they need to look into stricter QC because for those who know macarons, this would be completely unacceptable. That's a real shame about the macarons. I'm a little surprised that you didn't try to get some from Keller's Bouchon bakery, but then again the hotels are quite spread apart. Give them a try next time. @Dc79 Yah, the Venetian was too far for us to walk before our flight. Besides, we were there for only 3 days. There is only that many places one can visit. Well, unless your name is Mijune (followmefoodie.com). Sounds about right. 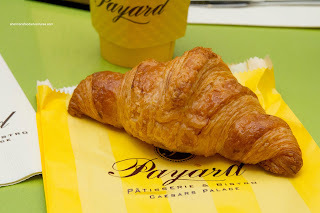 From reviews I've read and personal experience, Payard LV does a better job with savoury than their pastries. I also had issues with their training - I tried to ask questions from the staff and they didn't know anything about the product at all. JP Patissiere at Bellagio/Aria is IMO the best patisserie on the strip. Bouchon has been wildly inconsistent for years. Hopefully they've improved with the new location. I can think of a possible worse macaron. The one I tried at Manzano bakery in Metrotown. Dry, crumbly and I could not even bite through the centre. I think I would have gladly welcomed those you tried.